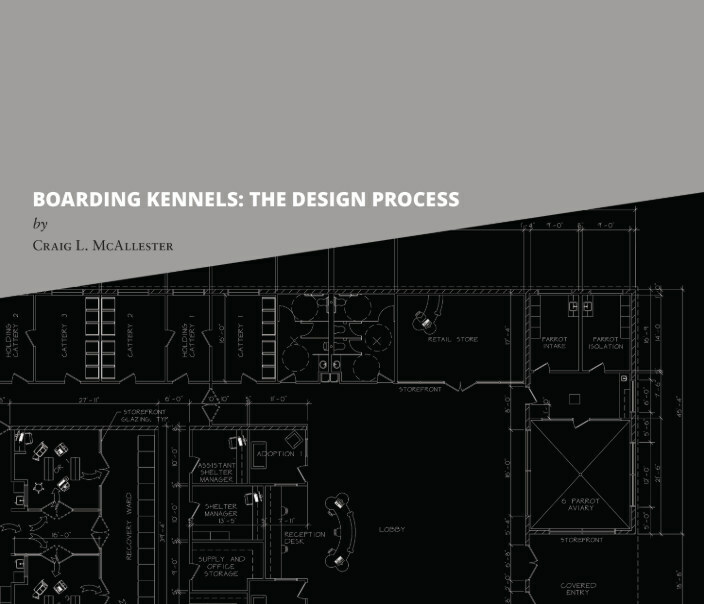 This book takes the reader through the many processes of building a boarding kennel that will be safe for the animals, the handlers, and customers alike. It speaks of land acquisition, site design, space planning of the kennel and human spaces, choosing materials, noise control, the daily cleaning process, drains vs. vacuum systems to remove the cleaning water and so much more. You will learn how to start building a list of wants and desires, so that nothing is missed. Included is a spreadsheet for cost estimating and a glossary of terms. If you are planning to build a boarding kennel business, you owe it to yourself to start the process here. My name is Craig L. McAllester, and I have been an architectural designer since 1990. In 2003, I designed my first boarding kennel, and at last count some years ago, I had designed over 250 boarding kennels and catteries, animal hospitals, veterinary clinics, grooming shops, city animal shelters, SPCA facilities, police, military and the United States Boarder Patrol / HomeLand Security K9 working dog kennels all across the United States of America and in several other countries around the world. I would be glad to talk to you about your project. Thank you so much for stopping by.